Brancaster is placed within an Area of Outstanding Natural Beauty renowned for its long beautiful sandy beaches, sailing and bird reserves. The Royal West Norfolk Golf Club provides a challenging links course and lies between the salt marshes and the beach. The Ship pub is a five minute walk from the house. The neighbouring village of Brancaster Staithe has a natural harbour and it's own sailing club. Other villages either side include the popular Georgian village of Burnham Market and the seaside village of Thornham both with boutique shops and good places to eat. "Biased I know but I grew up sitting atop the slowly disappearing beach huts (there is now only one row of them, there were three when I was small), jumping down the dunes (which we still do and are still not allowed to do), walking through the endless warm pools across the channel to the wreck* catching tiny shrimps, crabs and mermaids purses along the way. 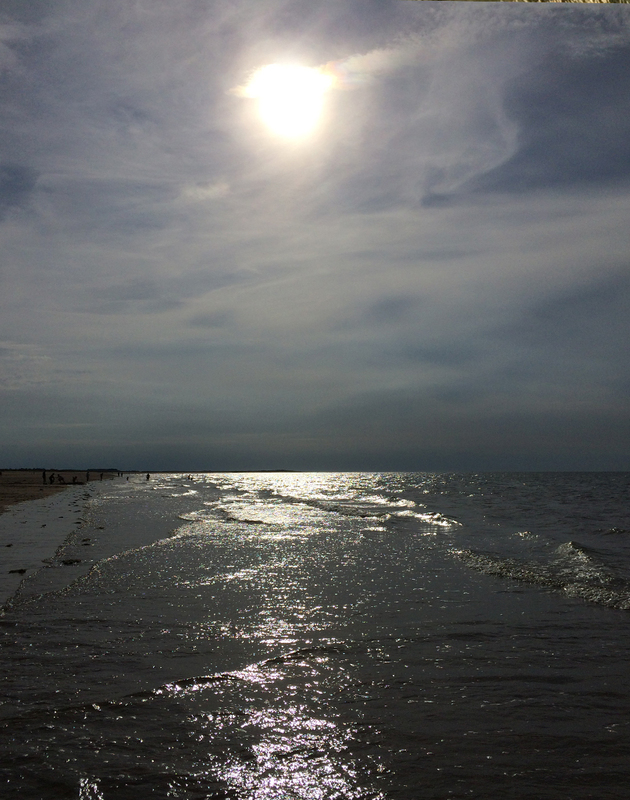 I still choose Brancaster every time despite the enormous choice we have up here." *please be aware of the fast moving current in this channel and not to head out there when the tide is turning. 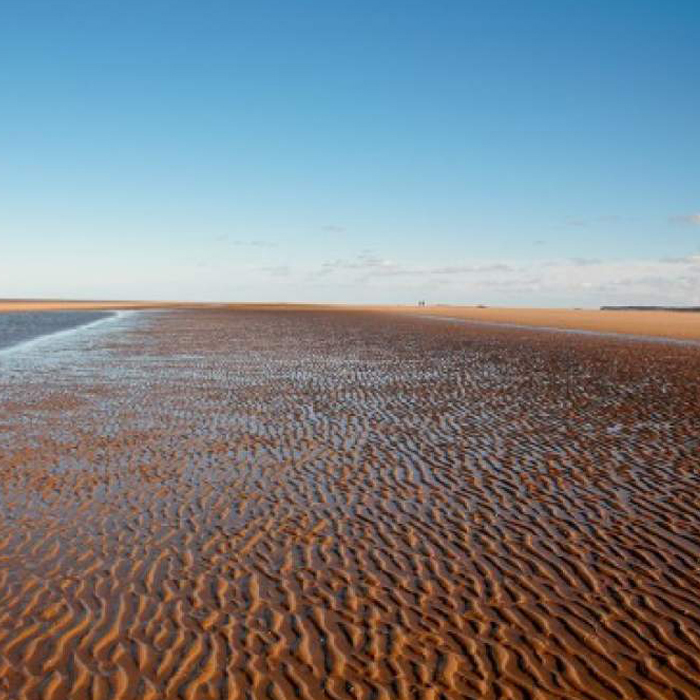 The vast beach at Holkham and nearby Wells-next-the-Sea form part of a unique landscape, rich in wildlife. Truly impressive (but a long walk out to the beach for small people). This is one of those beaches that very few people know about so even in the height of the holiday season, it’s pretty much empty. You need to park in the right place or it’s another hike. A magical beach with some mega dunes (take a boogie board and surf down them) but it does involve a 30/40 minute walk along the coast path from Burnham Overy Staithe. Worth it if you can fill a buggy/back pack with kit and feed the kids treats along the way. 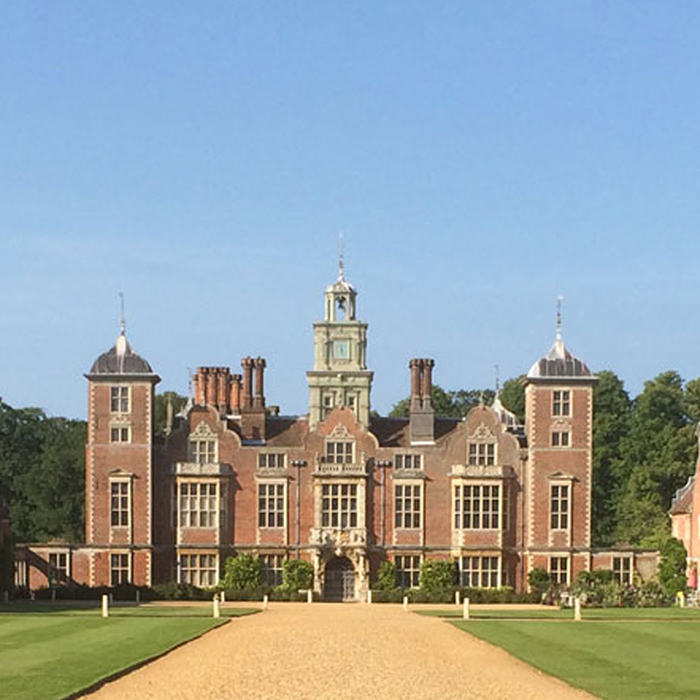 The North Norfolk coast is associated with several country houses such as Holkham Hall and Houghton Hall, both are well worth repeat visits, as there are always new attractions, concerts and exhibitions on their respective seasonal programmes. Palladian perfectionism combined with the most beautiful interiors, parkland populated by white-deer, a stunning modern take on the traditional walled garden and a contemporary art collection, examples of which can be seen in the garden and grounds, make it officially the stately home from heaven. Holkham Hall could seem daunting given its size, however this Palladian pile with its William Kent interiors and art collection are jaw dropping, and its parkland is bounded by one the world’s best beaches. It is an unbeatable playground. The light and colour of this park have always reminded me of wild African plains (swap antelope with deer). GroundWork Gallery shows art with an environmental edge. Located in Kings Lynn's attractive old town, close to the Custom House, the gallery shows painting, film, photography and sculpture; from curated collections to new works; from internationally-known artists to emerging talents. Their programme of events and talks will keep you up to speed on environmental issues too. The Sainsbury Centre for Visual Arts was one of the first major public buildings to be designed by the architects Norman Foster and Wendy Cheesman, completed in 1978. The building became grade II* listed in December 2012. The Sainsbury Centre houses the extraordinary art collection of Robert and Lisa Sainsbury, as well as the Anderson Collection of Art Nouveau and the University’s Abstract and Constructivist Collection. Davina Barber, Paul Barratt and Paul Vater work together to unearth and provide a platform for the many creative people of this inspiring region with an opportunity to showcase their work in pop-up exhibitions. They exhibit a diverse range of work in relaxed and eclectic locations by artists, designers, ceramicists, textile designers, photographers, furniture makers and craftspeople, much of which is on display at the Beach House. Bring your own boats and store them on the property - then head down to Brancaster Staithe or nearby quays at Blakeney and Morston. You can also hire one - either skippered by you or an instructor. We recommend speaking to Brancaster Staithe Sailing Club. 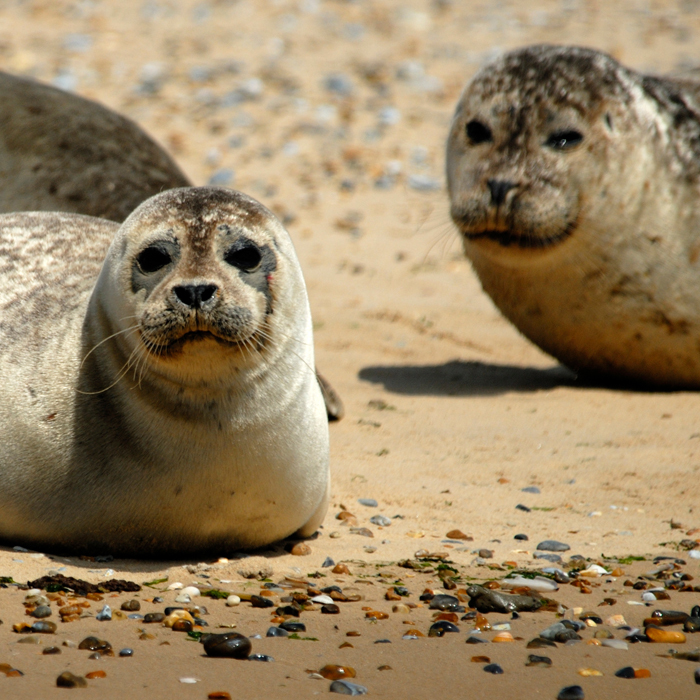 Blakeney Point is the real gem along this part of the Norfolk coastline – a three-and-a-half-mile sand and shingle spit it is an important breeding site for grey and common seals. Walk along the spit or take a boat trip out to see these wondrous beasts! A worthwhile trip if you’ve had enough of the beaches. An excellent, large outdoor play area (and indoor), plus food, shop and some proper birdlife to explore. A must with children on a coldish day, from the awful rides to the amusement arcade it’s nostalgia all the way and they will LOVE it! (I’ll pay you back if they don’t). Run by a small, local team of professional adventurers, Coastal Exploration Company provide the skipper and host trips ranging from four hours to three days, through creeks, marshes and open sea. Get involved with the sailing and cooking, or sit back and connect with nature – the pace is yours to choose. This local company provides 'Paddle Board Hire' 'Taster Sessions' and 'Guided Tours' in Burnham Overy Staithe, Wells-next-the-Sea and Brancaster Staithe. Delivered to a place and at a time that suits you, means that you can paddle where you want, when you want. Season has served fresh, local produce to their customers for four generations located on the beautiful Well’s Quay. This is an atmospheric, friendly dining experience with honest, locally sourced, fresh food for the people of Wells-next-the-Sea and beyond. Located in Foundry Place, just off North Street, Socius offers locally sourced produce in dishes which change to reflect the seasons. Their food is served on small plates and designed to share – as a modern British take on tapas. Not everyone agrees but I’ve never had a bad meal here at this chef owned pub. The food is original and delicious with a hint of Asia and there’s always a cosy atmosphere. They've just made the Top 5 in the Best Pub Category in the British GQ Food and Drink Awards 2018. Tucked away just off the green in Burnham Market, this is an intimate neighbourhood bistro serving up tasty & unique British dishes with European influences inspired by Norfolk's plentiful local produce. 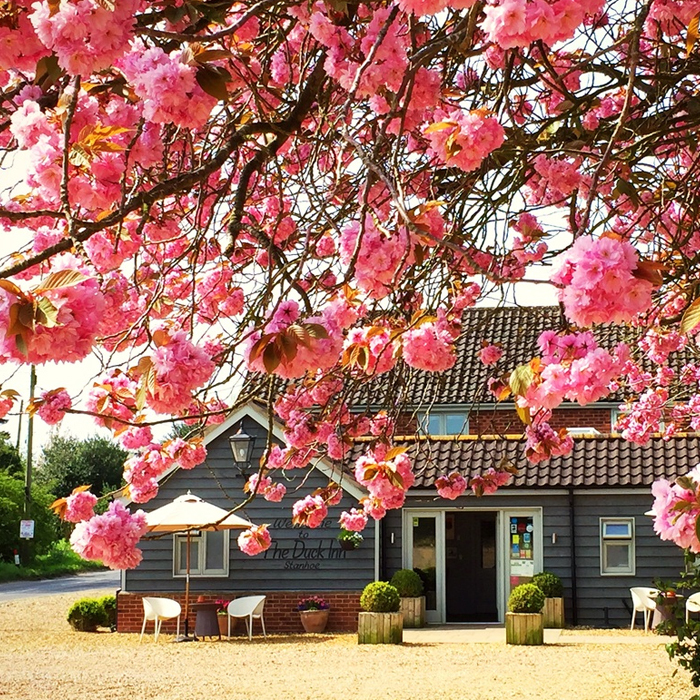 Booking a table at Titchwell Manor is a real treat set in this stylish, calm and comfortable setting. Head Chef Eric Snaith has earned 3 AA rosettes for his excellent modern European cuisine, which uses local produce wherever possible. Serving locally-sourced, top quality, artisan produced food. Whether you are eating in our restaurant/cafe, buying prepared food for a picnic or sourcing ingredients for a sumptuous home-cooked meal. We like sitting outside overlooking the wild and woolly marshes eating fresh ingredients from their garden. Service is can be a little patchy as it is so busy but the children can run wild here. "Normal for Norfolk’s" Desmond McCarthy has created an unpretentious, bohemian atmosphere. This is a fun stop off after the beach if you’re in the Holme/Thornham direction. You will also find plenty to delight the tastebuds at the Thornham Deli, Drove Orchard farm shop and Shuck's at the Yurt in Thornham. This is a quick and easy choice, especially when providing for hungry children. Simple but fresh food, with large outdoor garden and excellent climbing thingy (delicious pizzas which you can also take away.) In the Summer they do an outdoor BBQ.